The District is governed by a five-member Board of Directors who are elected to overlapping four year terms in even-numbered years. The District has five separate election divisions, each represented by a director residing in, and elected by the voters of, the division. The Board of Directors is responsible for setting District policy and establishing long-range goals and direction for the District to ensure that its operations continue to run efficiently and effectively, both today and in the decades to come. Mr. Jerry Tang, a Walnut resident since 1993, is the most recent member of the Walnut Valley Water District Board of Directors, having been officially sworn in to office on February 15, 2019. 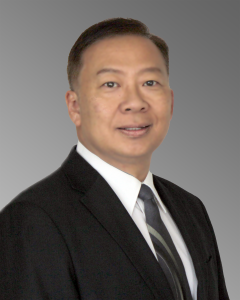 Mr. Tang, who represents Division I on the Board of Directors, replaces Dr. Allen Wu, who was elected to the Walnut City Council last November and assumed office in December 2018. Mr. Tang is an Environmental Scientist in the Technical Services Department of the Sanitation Districts of Los Angeles County (Sanitation Districts). His primary responsibilities include assessing and reporting sediment condition, tissue bioaccumulation, and seafood safety monitoring results from the Palos Verdes Shelf (PVS). Mr. Tang is also the project lead for sediment coring activities and represents the Sanitation Districts in the USEPA’s PVS Technical Information Exchange Group and the PVS Institutional Controls Program: Fish Contamination Education Collaborative. Additionally, he represents the Sanitation Districts on the State Water Resources Control Board’s Stakeholder Advisory Group for the development of Sediment Quality Objectives. Mr. Tang holds a Bachelor of Science degree in Chemistry from the Chung-Yuan Christian University in Taiwan and a Master of Public Health degree in Environmental Health Science from the University of California, Los Angeles. Mr. Tang is very active in many community organizations. He is a lifetime member of the Southern California Chinese-American Environmental Protection Association and an active member of Chinese Institute of Engineers Southern California Chapter. Mr. Tang has attended the Rowland Heights Community Christian Church since 1998 and held multiple leadership roles during his time there. 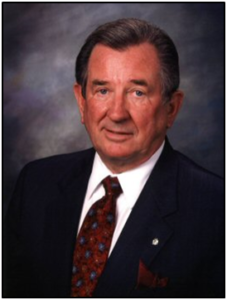 Mr. Hilden has been a resident of Diamond Bar since 1966 and is a Certified Financial Planner. 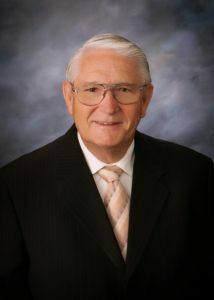 He obtained his Certified Financial Planning® (CFP) and Accredited Asset Management Specialist (AAMS) designations from the College for Financial Planning in Denver, CO. Mr. Hilden has served four terms, and is currently WVWD Board President and has also serves as Commissioner of the Pomona-Walnut-Rowland Joint Water Line Commission. Currently, Mr. Hilden serves as First Vice President, and a member to the District’s Public Information/Community Relations/Legislative Action Committee and Chair of the Personnel Committee. He is also the representative to the Three Valley’s Municipal Water District, an alternate board member of the Association of California Water Agencies Joint Powers Insurance Authority (ACWA/JPIA), and the District’s ACWA voting delegate. Mr. Hilden has completed extensive education and training through the California Special Districts Governance Academy in the areas of Governance Foundations, Setting Direction and Community Leadership, The Board’s Role in Finance and Fiscal Accountability, and The Board’s Role in Human Resources. As a long-time Diamond Bar resident, he has served the local community through his active involvement in a number of community service activities and organizations for many years. The successful “Shop Diamond Bar” slogan and program was launched during his Presidency on the Diamond Bar Chamber of Commerce in 1989. Mr. Hilden served in the United States Air Force from 1952-1961, as a member of an air crew. Ms. Theresa Lee, a resident of Diamond Bar, is the most recent member of the Walnut Valley Water District Board of Directors, having been sworn in at the District’s January 19, 2016 Board meeting. As the First Vice President, Ms. Lee now also serves as Chair of the District’s Engineering and Special Projects Committee, and is a member of the District’s Finance Committee, and Public Information/Community Relations/Legislative Action Committee. Director Lee also served as the District’s ACWA Region 8 Delegate. Ms. Lee is the current owner of a customer brokerage company and is a member of the Foreign Trade Association and the National Customers Brokers & Forwarders Association of America. She holds a Bachelors’ Degree in Biology from the University of Southern California. Ms. Lee has been and remains very active in many community service organizations. Just some of the associations in which Ms. Lee volunteers her time include the United Abacus Arithmetic Association, the Chinese Institute of Engineers at Southern California, the Diamond Bar Chinese American Association, Diamond Bar Friends of the Library, and the Guitar Foundation of America. Dr. Ebenkamp has been a resident of the Rowland Heights/Diamond Bar area since 1970. He holds Master of Science and Doctor of Pharmacy degrees from the University of Southern California and retired from the Los Angeles County/University of Southern California Medical Center in 1996 after a 27-year career during which he served as an Assistant Clinical Professor of Pharmacy and in various professional and managerial positions, including: Acting Director of Clinical Pharmacy Services, Senior Pharmacist, and Nuclear Pharmacist. Dr. Ebenkamp represents the residents of Division IV of the Walnut Valley Water District. As a Board member, he served as the 2015 and 2018 Board President and currently serves as the Assistant treasurer, and as a member of both the District’s Finance Committee and Engineering and Special Projects Committee, and an alternate member of the Personnel Committee. Additionally, he is a Commissioner and Chair of the Puente Basin Water Agency, a Joint Powers Authority of the Walnut and Rowland Water Districts, and is the District’s representative on the Government Affairs Committee of the San Gabriel Valley Regional Chamber of Commerce. In conjunction with those duties, Director Ebenkamp is the WVWD’s Alternate Representative to the Three Valley’s Water District and Alternate ACWA Voting Delegate. Dr. Ebenkamp is a board member and past president of the Rowland Heights Community Coordinating Council, serves on the Citizens Oversight Committee of Mt. San Antonio College, and is a commissioner on the Los Angeles County Water Appeals Board. Ms. Kwong holds a Bachelor of Science degree in Math/Computer Science from the University of California at Los Angeles. She was formerly a Project Engineer/Planning and Budget Manager in aerospace companies developing software systems for NASA Satellite Systems, and later, for Commercial Airline’s In-Flight Entertainment Systems. 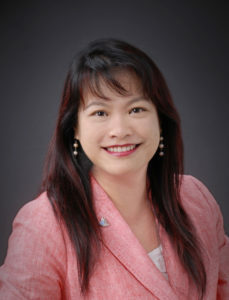 Ms. Kwong was elected to the WVWD Board of Directors in 2007, and served as Board President in 2011 and 2016. She currently serves as Second Vice President on the Board of Directors and is serving as a member of the Personnel Committee, and an alternate member to the Engineering and Special Projects Committee. Additionally, she is a Commissioner and Chair of the Pomona-Walnut-Rowland Joint Water Line Commission, and an alternate of the Puente Basin Water Agency, a Joint Powers Authority of Walnut and Rowland Water Districts. A Diamond Bar/Walnut resident since 1998, Ms. Kwong is active in many school and community organizations. Currently she is the President of the Chinese-American Elected Officials (CEO) Association 2017-2018, and has served on the Miss Diamond Bar Scholarship Pageant, Inc., Board of Directors since 2007. 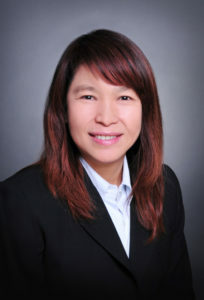 Ms. Kwong received a CIE-USA Centennial Medal in 2017 for her service to the Chinese Institute of Engineers – Southern California Chapter (President 2013-2015).